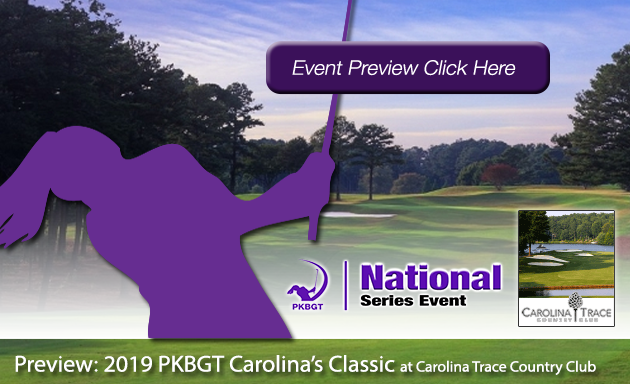 On June 30th and July 1st, 2018 the Peggy Kirk Bell Girls’ Golf Tour played the Gate City Classic at Forest Oaks Country Club in Greensboro, North Carolina. 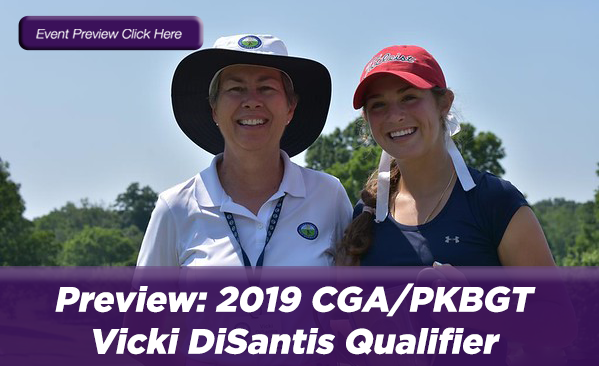 The event featured a field of 43 players from the PKB Girls’ Golf Tour, the nation’s largest “girls’ only” junior tour. They will tackle the course at 5,727 yards in the Prep Division and 5,007 yards in the Futures Division. 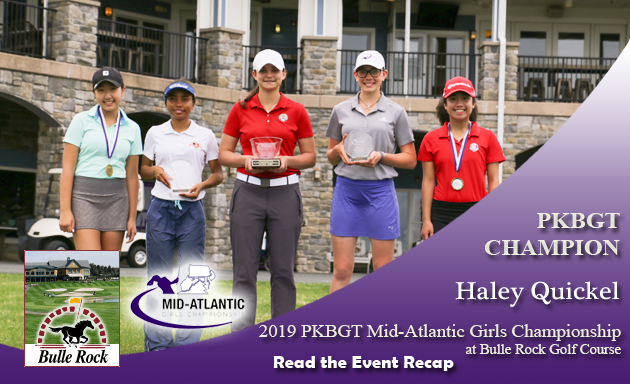 The Champion of the Prep Division is Maria Atwood (Holly Springs, NC 2022) with an impressive two-day total of even par, 74-70-144. 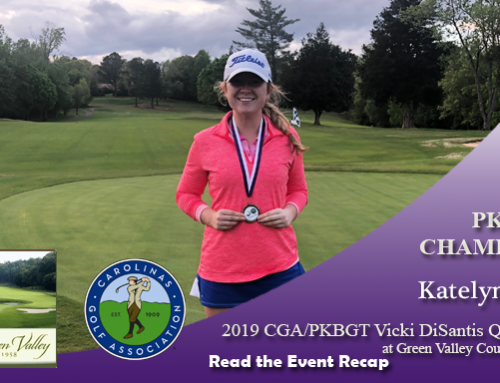 Victoria Ladd (Greensboro, NC 2019) finished runner-up, just 4 strokes behind the leader, with scores of 74-74-148. 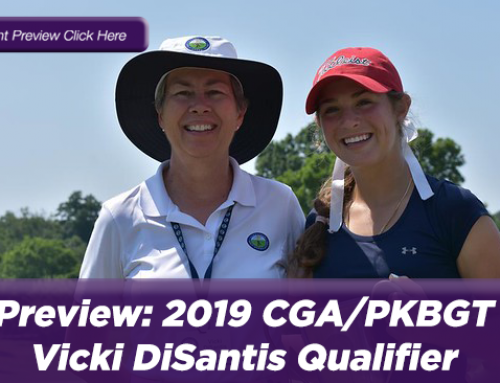 Finishing in 3rd place with scores of 76-74-150 is Mara Hirtle (Pinehurst, NC 2020). 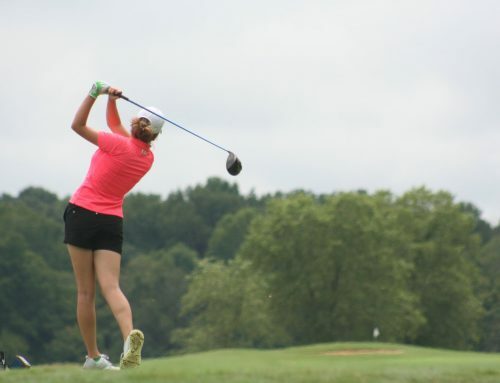 Alyssa Cox (Mount Airy, NC 2019) finished in 4th place with scores of 77-75-152. Finishing in 5th place is Alexia Siehl (Fort Mill, SC 2022) with scores of 77-76-153. The Champion of the Futures Division is Heather Appelson (Wake Forest, NC 2023) with an impressive two-day total of 3-over par, 71-76-147. 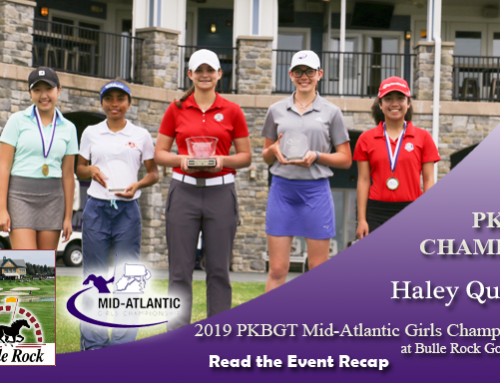 Macy Pate (Boone, NC 2023) finished runner-up with scores of 76-73-149. Finishing in 3rd place with scores of 72-78-150 is Regan Clifford (Mount Pleasant, SC 2020). 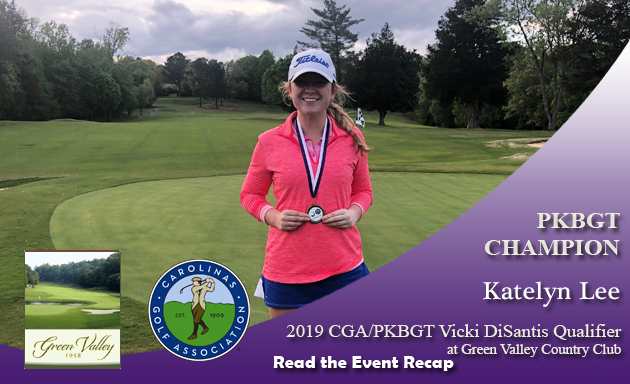 Ainslee Conrad (Lexington, NC 2020) finished in 4th place with scores of 77-76-153. Finishing in 5th place is AnPhi Le (Frederick, MD 2022) with scores of 76-80-156. 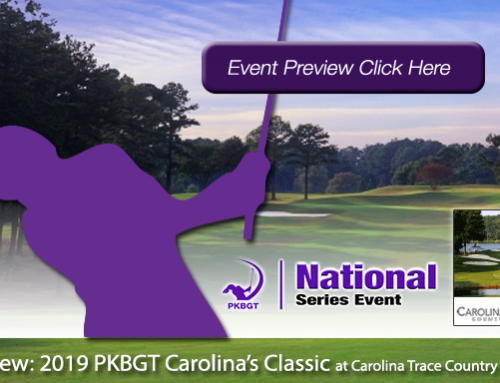 The PKBGT is back in action next weekend with the NC One-Day Series at Bryan Park GC (Players Course) on Friday, July 6th and the SC One-Day Series at The Windermere Club on Saturday, July 7th. We look forward to a great weekend!